The Toyota investment has been in the works for years as it gears up for production of the revamped 2018 Camry. LOUISVILLE, Ky. (AP) — Toyota said Monday it is investing $1.33 billion to retool its sprawling factory in Georgetown, Kentucky, where the company’s flagship Camry sedans are built. No new factory jobs are being added, but Toyota says the upgrades amount to the biggest single investment ever at one of its existing plants in the United States. The retooling also will sustain the existing 8,200 jobs at Toyota’s largest plant, where about one-fourth of all Toyota vehicles produced in North America are made, the automaker said. “This major overhaul will enable the plant to stay flexible and competitive, further cementing our presence in Kentucky,” said Wil James, president of the plant, which also assembles the Avalon and the Lexus ES 350. 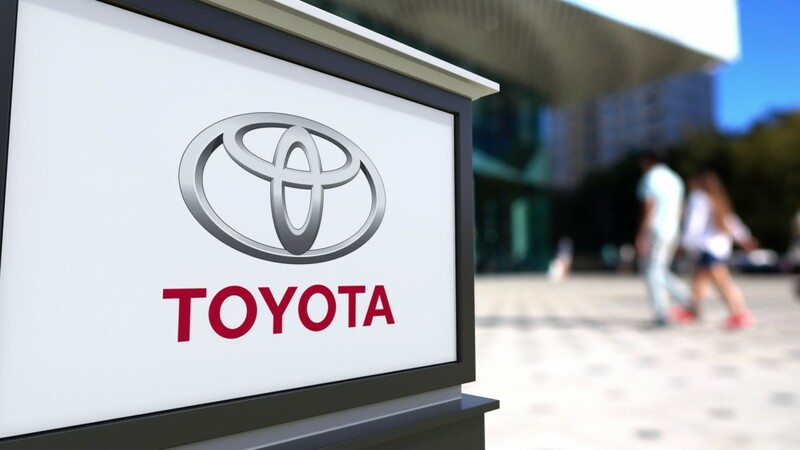 The updates at the Kentucky plant are part of Toyota’s plans to invest $10 billion in the United States over the next five years, said CEO Jim Lentz of Toyota Motor North America, in a news release. President Donald Trump, in a paragraph that Toyota at first said was added to its news release at the White House’s request on Sunday night, praised the investment and said it is “further evidence that manufacturers are now confident that the economic climate has greatly improved under my administration.” The paragraph cited the National Association of Manufacturers’ first-quarter outlook survey. It found that 93.3 percent of manufacturers are somewhat or very positive about their company’s outlook, a record high that’s up from 77.8 percent in December. Trump wasn’t included in the first version of a news release distributed on Friday by Toyota in advance of Monday’s announcement. The release, however, included quotes from Kentucky’s two senators and governors. White House spokeswoman Natalie Strom said that Toyota “actually reached out to us and wanted to include the president.” Later Monday, Toyota said the company requested the Trump quote. The Toyota investment has been in the works for years as it gears up for production of the revamped 2018 Camry, long the top-selling car in the U.S. Toyota has said the Camry’s new underpinnings were designed four or five years ago, and the factory upgrade is needed to build the new car which goes on sale late in the summer. The 2018 Camry features a new exterior design, an upgraded interior and a new engine. The plant recently added more than 700 workers to support its launch. “The (production) line itself is being retooled to accommodate this change,” Toyota spokesman Scott Vazin said. The automaker said the plans call for updating equipment at the Kentucky plant to streamline production and for construction of a new paint shop. Toyota is betting that the changes will solidify Camry’s premier sales position. That dominance is under threat from the popularity of SUVs. “When the 2018 Camry hits the roads later this year, I’m convinced that it will have heads turning,” James said Monday. The investment follows the automaker’s decision in 2013 to spend $530 million in the plant to begin building the luxury Lexus ES 350 in Kentucky. State and local officials attended an event Monday at the Georgetown plant to celebrate the automaker’s investment. Kentucky economic development officials sweetened Toyota’s existing incentive agreement with the state as a result of its latest investment. State officials added up to $43.5 million in tax incentives, making Toyota eligible for up to $190 million in incentives that span multiple projects. The performancebased incentives allow Toyota to keep a portion of its investment through corporate income tax credits and wage assessments by meeting job retention and new capital investment targets, state officials said.